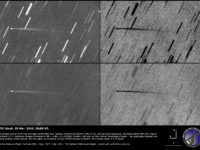 Next 30 June 2017, anniversary of the 1908 Tunguska event, we will celebrate the 3rd edition of “Asteroid Day“: it is “a global awareness movement where people from around the world come together to learn about asteroids and what we can do to protect our planet, our families, communities, and future generations“. 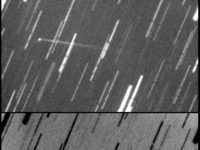 The Virtual Telescope Project is the leading facility in the world sharing live, online the most spectacular near-Earth asteroids and their close encounters with our home planet. 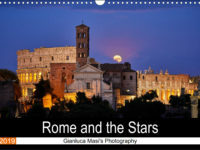 We showed these objects to millions of individuals from more than 200 Countries. 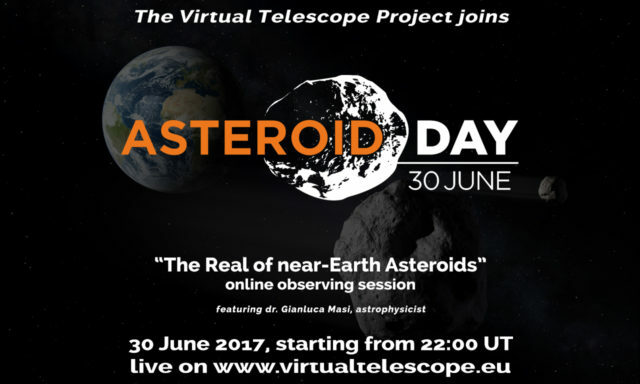 To celebrate Asteroid Day 2017 at its best, the Virtual Telescope, in partnership with the international board, will officially run this amazing online event: “The Realm of Near-Earth Asteroids: online observing session”. 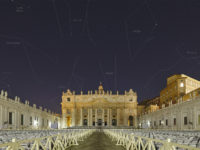 The live event will be conduced by astrophysicist Gianluca Masi, owner and scientific director of the Virtual Telescope Project, with a long scientific experience on both astrometric and physical observations of asteroids., recipient in 2005 of the “Shoemaker NEO Grant” of the Planetary Society. 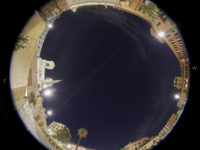 During the live event we will review near-Earth asteroids, discovering what scientists are doing to discovery and understand them, what can be done to mitigate a potential risk and then we will observe some of them in real time, thanks to the highly advanced technologies of the Virtual Telescope. The live event is scheduled for 30 June 2017, starting at 22:00 UT. 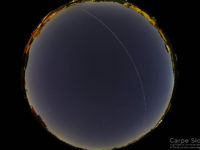 Geminids meteor shower and Phaethon put on a great show: join it with the Virtual Telescope!